If you love one another, respect follows. With respect comes faith --you begin to believe in yourself and your community. York Muay Thai delivers in the best inclusive, empowering learning experience in martial arts gyms and strives to provide a place where development and improvement is foremost where ‘Love, respect and believe’ are the values all members adopt. 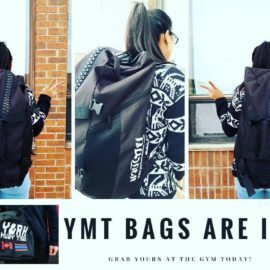 Since opening in 2010, York Muay Thai has been running a strong, structured traditional Muay Thai program for community members to learn and develop their skills in the ancient art of Muay Thai. 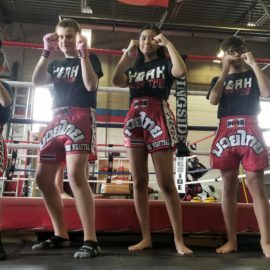 York Muay Thai is run by a dedicated team of highly qualified instructors led by founder Kru Yai Jenypher Lanthier, IKKC Professional Women’s Flyweight Champion, a top level coach in the sport with 16 years of martial arts experience. All instructors are selectively chosen and are mentored and trained through a curriculum developed over many years and aligning with the traditional teachings from the original school of Siam No. 1. The team of instructors work together to ensure all students are supported properly through their practice and have the help they need. Classes are for all levels and walk you through step-by-step the basics of proper Muay Thai technique, applications of each weapon, fighting strategy and on-going supported practice in the art. Classes emphasize fitness as well and provide a fun and interactive way to lose weight, strengthen the body and increase stamina. 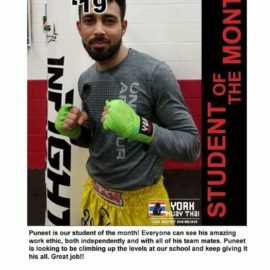 Whether your goal is to get fit, learn something new or compete as a fighter, the classes focus on student development of proper execution of fitness and Muay Thai techniques and accommodate everyone at their different levels of ability. All instructors and students are expected to endorse a respectful environment and contribute to a safe and positive place for everyone to learn. York Muay Thai also supports the growth of fighters and are an active competitor in the sport of Muay Thai internationally. They have developed a strong fighters program that has proven success through performance results and winning of several championships. The fighters program provides comprehensive training and proper guidance from experienced and active coaches to ensure all fighters are well-prepared for competition and have the learning tools to develop long-term. 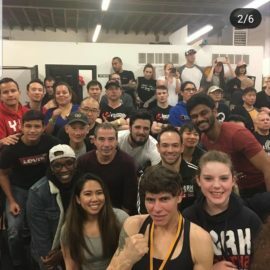 Come be a part of a unique community and see how the learning and practice of Muay Thai can change your life! 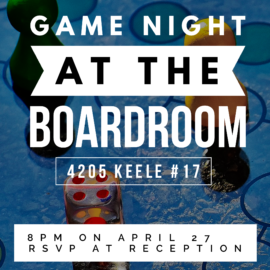 Board Game Night on April 27! RSVP with reception! !